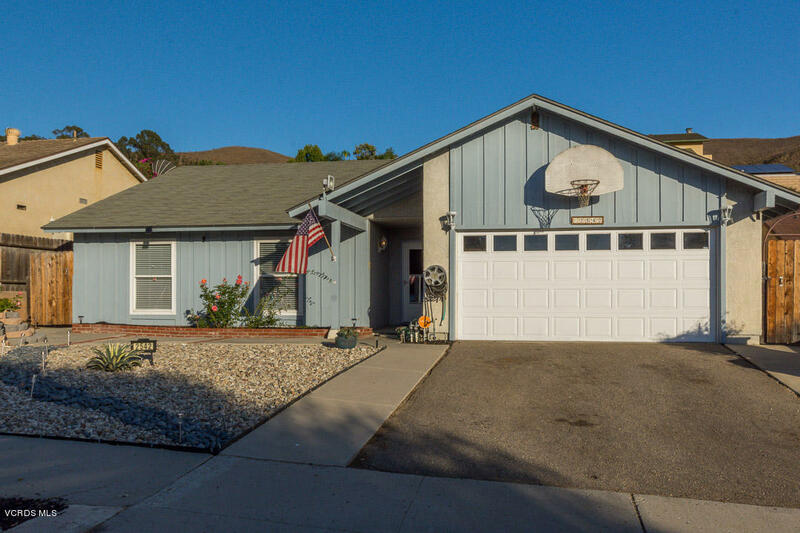 Sought out 4 bedrooms and 2 bathroom home in a desirable and peaceful neighborhood; only minutes from the beach and downtown Ventura with serene mountain and ocean views. This home features drought tolerant landscaping, solar powered front accent lighting, new screen door and garage door. As you walk in the front door, you will notice a detailed tile design in the foyer and a custom coat closet. The living room has recessed lighting. All the closets have been nicely renovated with custom shelving. The bathrooms have been recently remodeled and updated kitchen features a glass tile back splash, new garbage disposal, new stainless steel appliances, LED remote controlled under the cabinet lighting. All the windows and sliding doors are dual pane with additional security locking features. The 2 car garage has an elevated storage area and a laundry area. All the improvements to this home have been done within the last few years. This opportunity won't last, so hurry this home will sellfast.